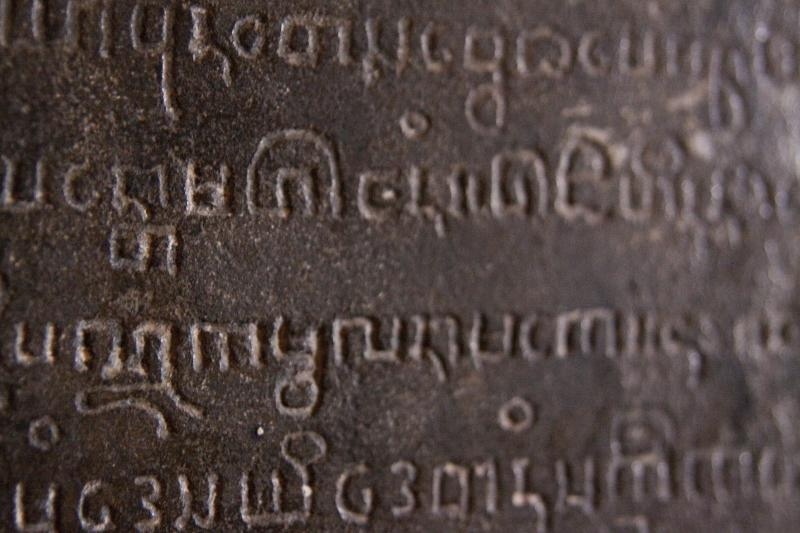 A selection of inscriptions from early times showing Pallava and its evolution into proto-Thai and proto-Burmese. Images in chronological order. 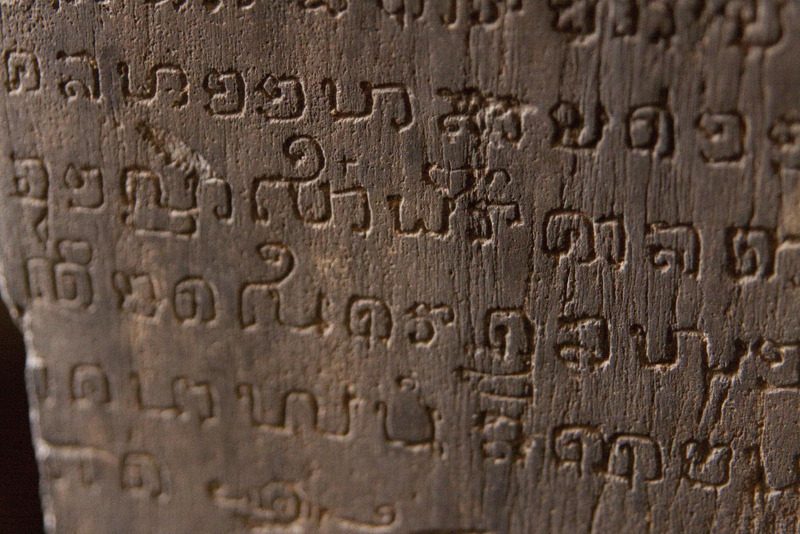 More on Flickr: Burmese or Thai inscriptions. 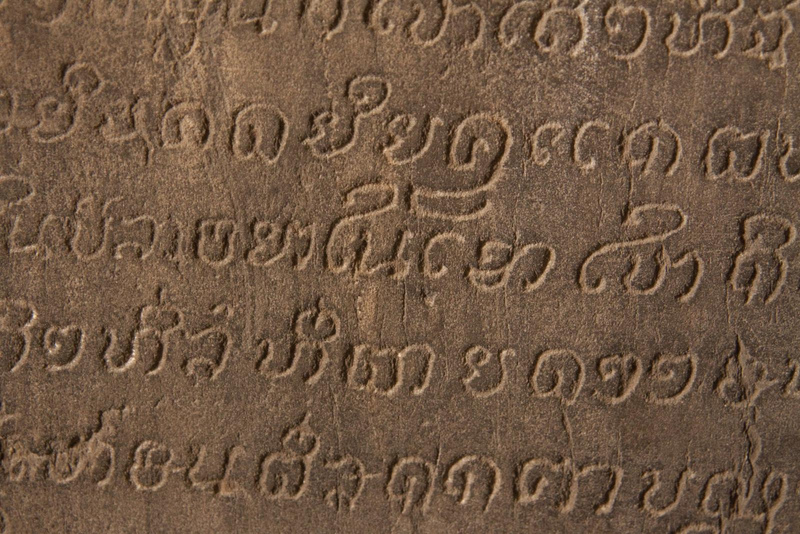 Post-Pallava script, Sanskrit language. 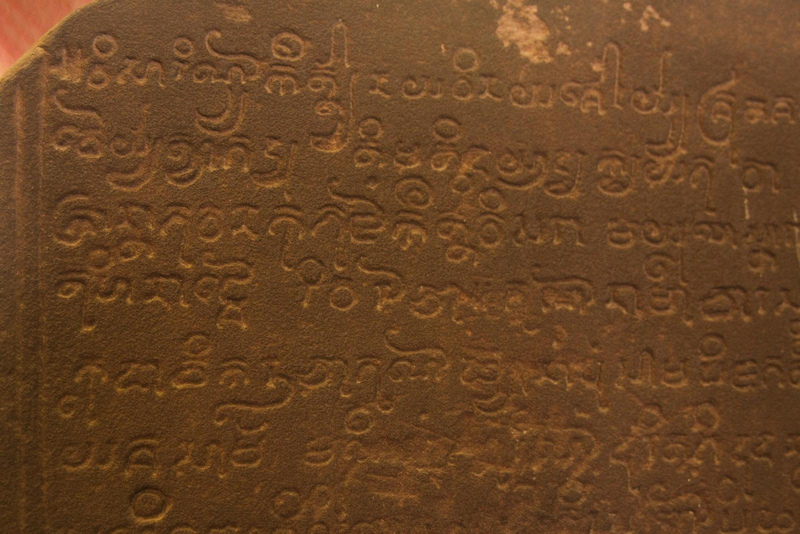 Semamuang inscription, Nakhon Si Thammarat, 775CE. 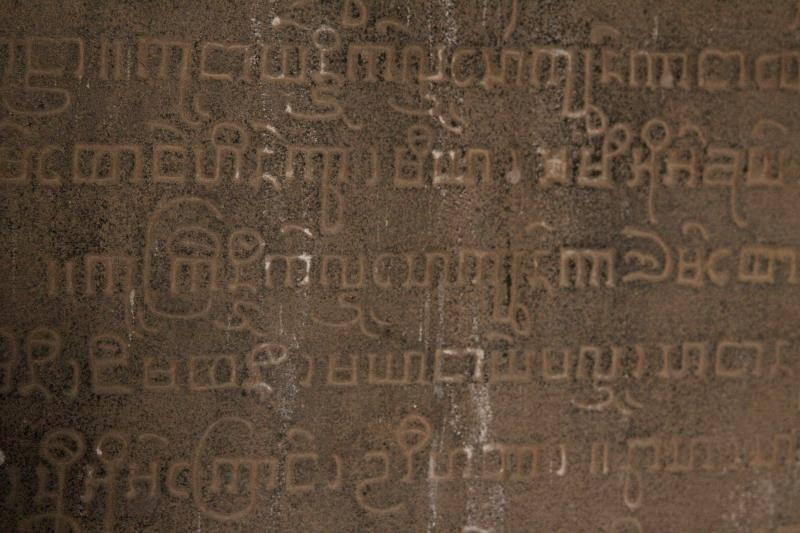 Old Burmese inscription at eastern entrance to Dhammayazika zedi, Bagan, 1196CE. 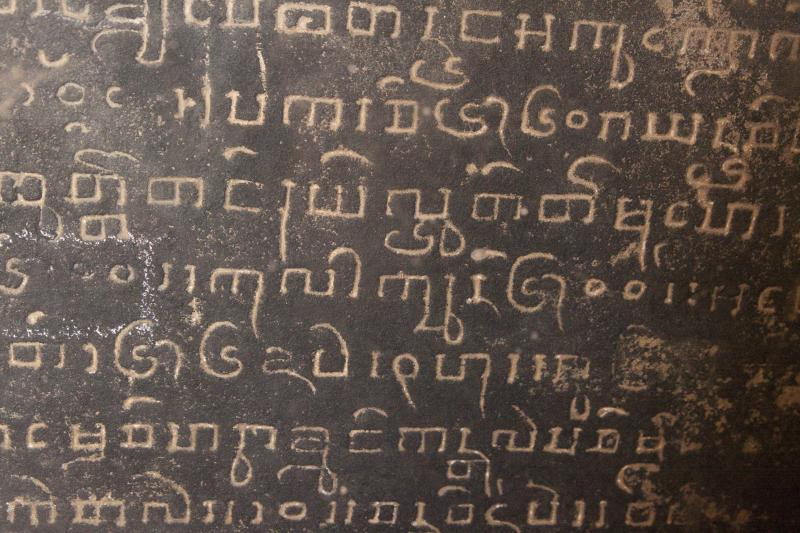 Old Burmese inscription from Winidoe Group temples, Bagan c.1250 CE. 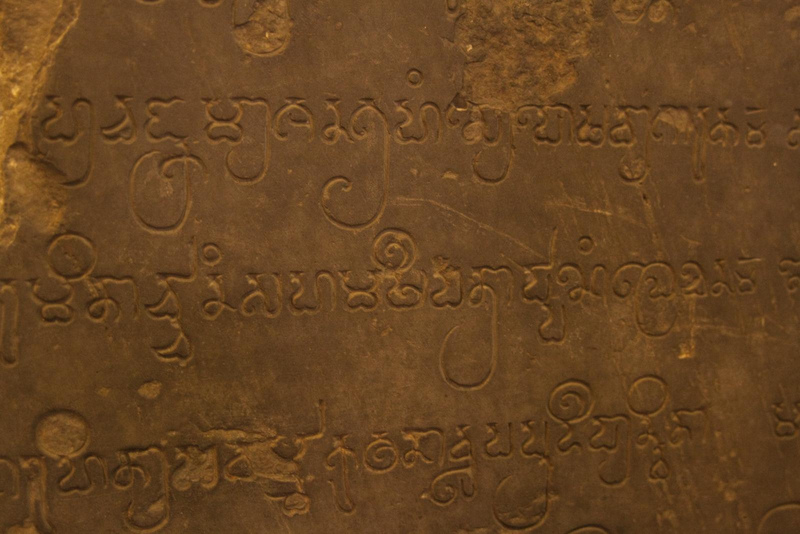 Pali inscription, Old Burmese script. Shwegugyi Pahto, Bagan, 1311CE. 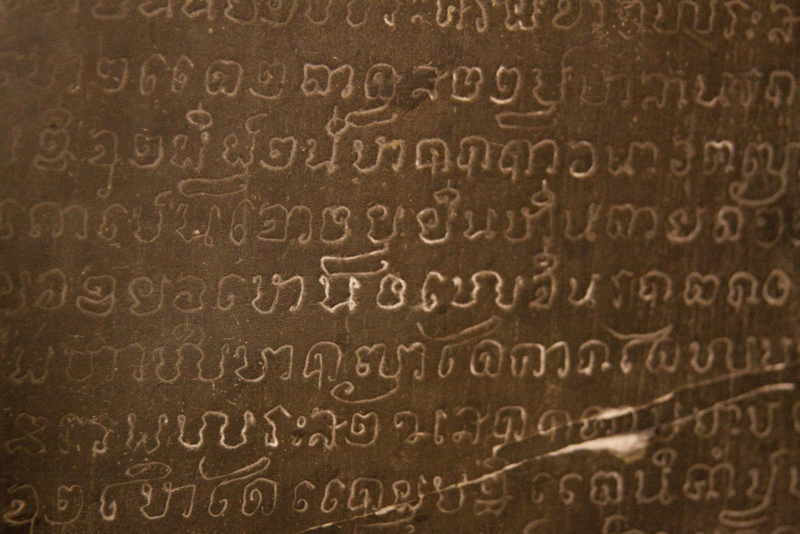 Thai Sukhothai script, Thai language. Wat Pa Mamuang inscription, Ayutthaya, 1361CE. Thai Sukhothai script, Thai language. 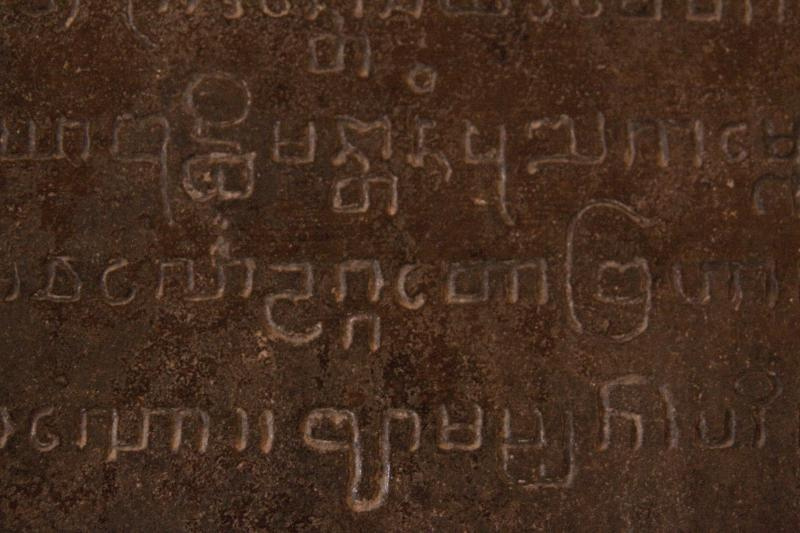 Pu Khun Chit Khun Chot inscription, Sukhothai, 1392CE. Thai Sukhothai script, Thai language. Wat Chang Lom inscription, Sukhothai, 15th century AD. 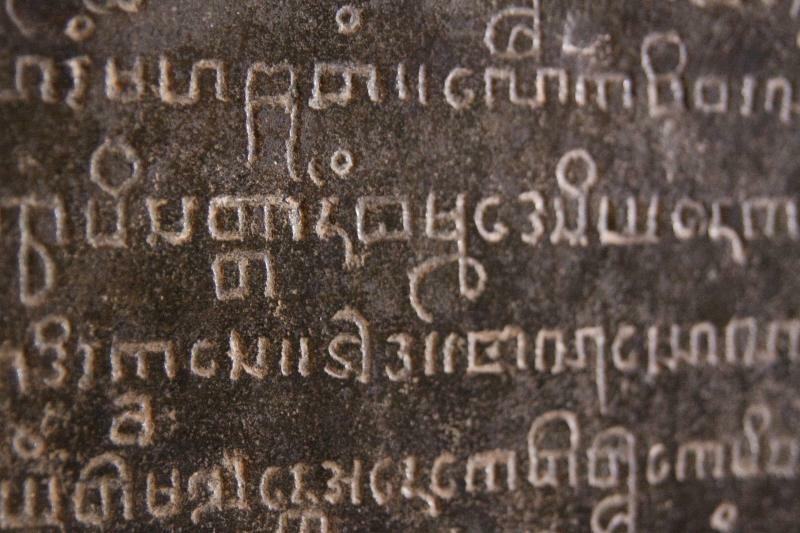 This entry was posted in Gallery and tagged Asia, Burmese, Indic, inscription, non-Latin, palaeography, Pallava, Thai by Bendy. Bookmark the permalink.